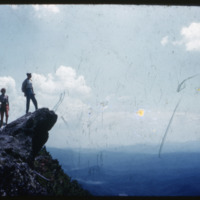 The Palmer Blair Collection contains approximately 10,000 surviving negatives and prints, which Digital Watauga is uploading to its site as scanning is completed. 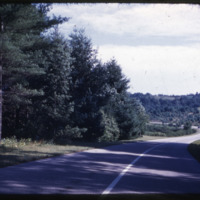 Most of these images are attributable to Palmer Blair, although some images shot by George Flowers after December 31, 1957, were inadvertently mixed in with the Palmer Blair Collection while the work of both George Flowers and Palmer Blair was stored together at the Boone Chamber of Commerce during the early 2000s. 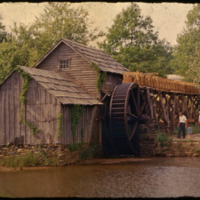 In addition, a number of images attributed to Frank Hartley or J. C. Boone also appear in the collection. Hartley and Boone worked as freelance photographers for Palmer's Photo Shop between March 21, 1957, and December 31, 1957, covering Palmer Blair's remaining assignments after his death. The collection also contains ten 16mm reels and eighteen 8mm reels of motion picture images, most shot by Palmer Blair. 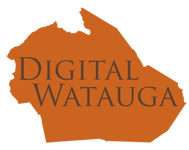 All but one of these is available for viewing through our YouTube account, with a link provided in the metadata for each film here on Digital Watauga. Many of the films are home movies featuring Palmer's wife, Sarah Lynn Blair, and their children: Palmer, Jr. (born 1949), Sharon (born 1954), and Susan (born 1956). 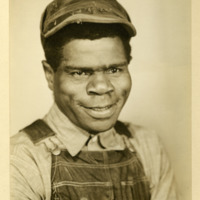 Other relatives can be frequently seen, including Sarah Lynn's mother, Margaret Florence Hill Rives ("Florence") and Palmer's father, Henry Neal Blair, and sister, Rebecca Blair Penwell. 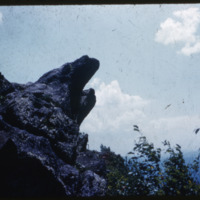 Other films include footage of the 1949 Watauga County Centennial Parade and a May Day celebration at Appalachian State Teachers College. One film in the collection involves the recovery of two drowning victims and has been suppressed from open public access. The collection is arranged by box as they are uploaded (often separated according to format) and follows no formal organization pattern that was original to Palmer Blair's operations. That said, many negative images are grouped at the item level according to the sleeve in which they were found. 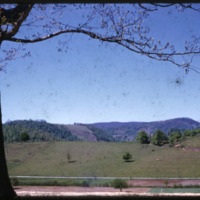 For example, Palmer Blair might have taken six images of a family reunion, then labeled the sleeve in which they were stored as "Smith Reunion," resulting in six Smith Reunion images in sequential order here on Digital Watauga. A finding aid to the collection will soon be available. This finding aid will be updated as new boxes are added to the collection. 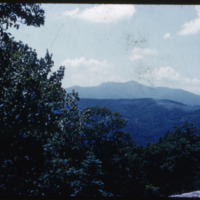 Palmer Blair was born on July 8, 1922, in Watauga County, the second of two sons among five children born to Henry Neal Blair and Martha Sligh Blair. Born and raised on the 300-plus-acre working Blair Farm located on the southeast end of Boone, Palmer grew up attending local schools. He graduated as a history and science major from Appalachian State Teachers College (now ASU) in 1945, the same year he met his future wife, Sarah Lynn Rives, a freshman from Jonesboro, North Carolina. They were married in October 1947. Palmer began exploring the world of photography and working in the field while a student in college. During that time he convinced his mother to allow him to set up a darkroom in a tiny room off of the kitchen’s back porch at the Blair home place. He opened his first photography business in 1947 in the basement of Wade Brown’s first law office at 766 West King Street, the current home of Miller and Johnson’s Law practice. In late 1948, Palmer moved his business and studio to the Linney Law Office Building at 718 West King Street. By 1952, he had outgrown that building and relocated his business to 127 Depot Street, now Black Cat Burrito. Beginning in April 1953, the final home of “Palmer’s Photo Shop” was in the Qualls Block at 597 West King Street (then 125 East King), where “A Piece of the Past Antiques” is currently located. Tragically, on March 21, 1957, Palmer Blair was killed in a plane crash doing what he loved—flying and capturing aerial images through his lens. That particular day was the first day that Palmer was using a recently purchased, state-of-the-art camera for his aerial work. He and his pilot, H. C. Sisk, a cousin by marriage and a World War II bomber pilot who was also killed in the crash, were completing a contract project for a mining company in Ashe County. Palmer left behind a young wife, Sarah Lynn, and three small children, Palmer Sligh Blair Jr., Sharon Rousseau Blair, and Susan Rebecca Blair. Palmer’s young widow operated her husband’s business for the remainder of that year. She sold “Palmer’s Photo Shop” to George Flowers on December 31, 1957. 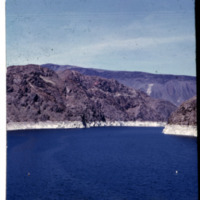 This image shows a lake in an unknown mountain range, possibly in the western United States. 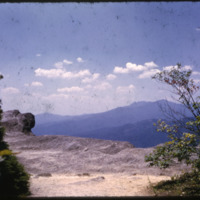 This mountless slide appears to have been cut off at the end of a roll of film. The mountains are white near the waterline. 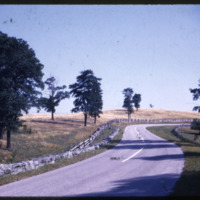 This image shows a section of what is most likely the Blue Ridge Parkway as it passes through a grassy landscape with few trees. Along the side of the road is a low stone wall.